On November 11, 1918, after more than four years of fighting the “war to end war”, an armistice was called in France and all hostilities came to an end on the Western Front of the First World War. While the battles may have ceased, the effects of the conflict continued to reverberate around the world and across the years, even to the present day, a century later. Albertans were among those who fought alongside fellow British citizens, as well as French and American soldiers – among others – to defeat Germany and its allies. Estimates place the number of Albertan soldiers at 48,885 – or over one third of the province’s male population aged 18 to 45. Of these, about one in eight did not return from the war, and almost half of those who did return had been wounded.1 The effect of the distant, unseen war was felt throughout the province on a personal level. One way Albertans dealt with the trauma and loss was to come together and commemorate those who had sacrificed their lives. A model for these activities was provided by “Peace Day”, celebrated on July 19, 1919, in London, England, in honour of the signing of the Treaty of Versailles on June 28, 1919, officially ending the war. The day included, among other events, a “Victory Parade” through the city, with a focal point provided by a new monument – the Cenotaph2 – designed by the architect Sir Edwin Lutyens only weeks before the day. Shaped like a coffin resting on a tall plinth, the wood and plaster sculpture served as a symbolic representation of all those who had fallen in the war. Originally conceived as a temporary installation, the Cenotaph aroused such a response from the public that it was replaced by a permanent stone monument unveiled by King George V on November 10, 1920. The Cenotaph remains in place in the middle of Whitehall [road] and is the focus of Remembrance Day services to this day. The London “Victory Day” celebrations and the Cenotaph made the news around the world. In Alberta, communities soon followed suit, erecting their own versions of the monument and holding their own ceremonies. 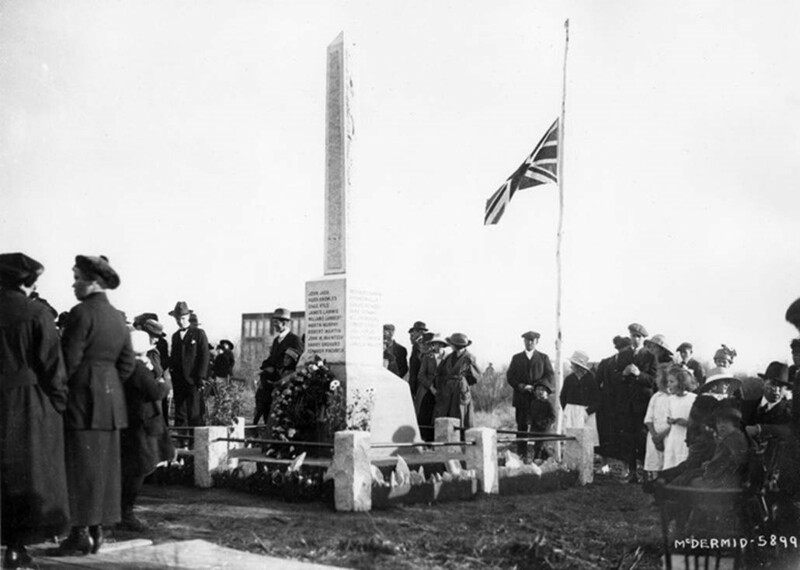 Among the earliest examples are in the Beverly district of Edmonton and in the Hamlet of Gleichen, where simple monuments were erected, which they called Cenotaphs, in 1920. 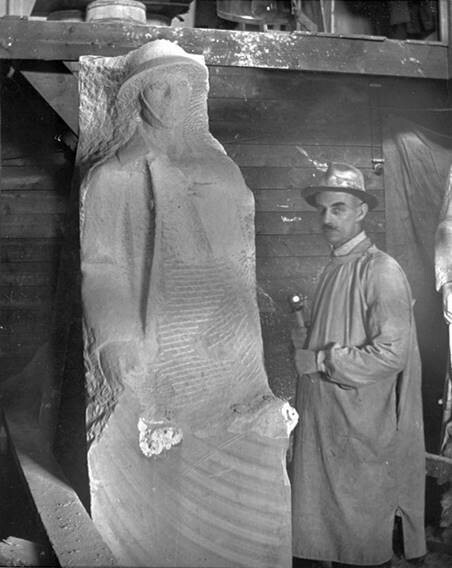 More elaborate memorials, complete with three-dimensional stone sculptures carved by Major Frank Norbury, were unveiled in the City of Red Deer (1922) and the Village of Holden (1923). The Town of Wainwright built a memorial clock tower in 1925, in the middle of the main downtown intersection. It was one of only a few structures to survive a devastating fire that destroyed the community in 1929. 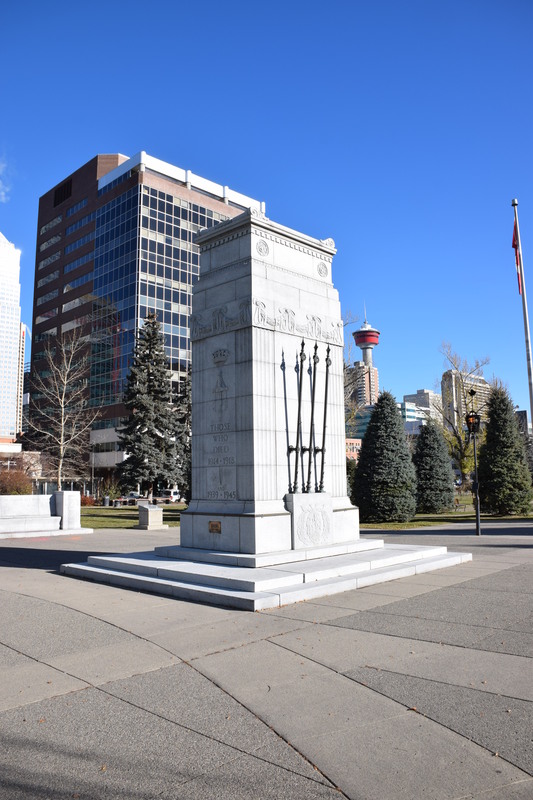 Today, Alberta continues to preserve these and other memorials, buildings and sites directly connected with WWI through designation as Provincial or Municipal Historic Resources. Explore the sites by clicking the links below. These protected resources are only a few examples of the many ways that Albertans have commemorated the profound impact that the First World War, and subsequent conflicts, have had on their lives. With about 800 registered war cemeteries (any cemetery with a war grave) scattered across the province, and many WWI-related geographical names, memorial buildings, markers and plaques, the impact continues to be wide spread and deeply felt.